Dale Putman participated in the first NCCCO drill rig practical examiners workshop in Salt Lake City, Utah. As an NCCCO practical examiner candidate, he acted as proctor, examiner and certified operator candidate. Individuals are graded on each aspect of becoming a practical examiner by NCCCO staff. Terex Utilities announced that Dale Putman, product manager, was part of the first group of individuals to become a certified foundation drill rig operator. 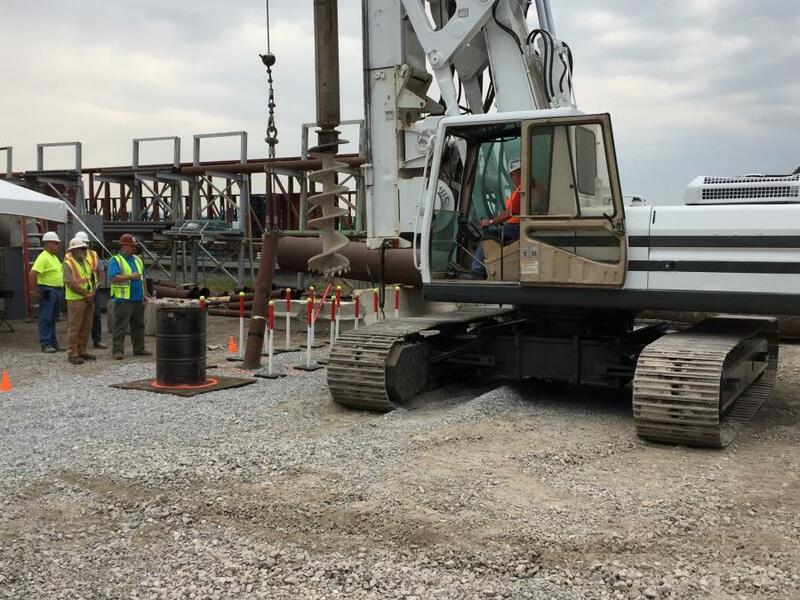 The designation is one of two new certifications developed by the National Commission for the Certification of Crane Operators (NCCCO) in conjunction with the International Association of Foundation Drilling (ADSC). Following receipt of foundation drill rig certification, Putman also became accredited as an NCCCO practical examiner for the foundation drill rig program. "Being knowledgeable about our customer's business extends beyond just knowing how and where Terex equipment is used," said Putman. "We think it's important to be a driving force to promote safe work environments for operators in the drilling industry. By getting certified myself, I can set an example when I operate Terex auger drills in the field with customers," he said. Putman also is an NCCCO-certified digger derrick operator. Although OSHA does not currently require operators of drill rigs to be certified, employers must ensure operators are trained and qualified. Until now no independent mechanism has existed for operators to demonstrate knowledge, skills and abilities for operation of this equipment. "The unique challenges and operational practices required by drill rig equipment necessitated new certification exams different from any other NCCCO program," said Joel Oliva, NCCCO director of operations. The ADSC pro-actively sought the development of a certification because of increasing requests from project owners or general contractors for such credentials, explained Richard Marshall, ADSC's director of safety. Development of the certification began in 2017. Putman and Jason Julius, technical support and training development of Terex Utilities, were members of the certification task force. 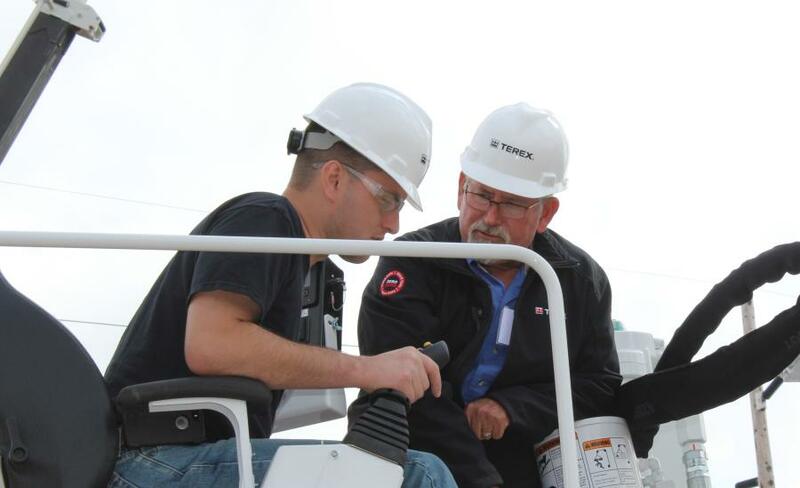 "Terex Utilities generously donated their experience and time, but also excerpts from various operator's manuals for use in the development of reference manuals and candidate study guides," said Marshall. To achieve NCCCO certification for foundation drill rig and/or anchor/micropile drill rig, candidates must successfully complete written and practical exams, including demonstration of inspection; use of safety protocols; identification of controls; and ability to pick and laydown pipe, position tools, drill, and safely secure the equipment in shutdown. In order to become a practical examiner, one must pass the written core and specialty exams, and the practical exam. Then the examiner candidate must attend an NCCCO practical examiner workshop to learn policy and procedures. "Dale was one of the first individuals to become an NCCCO certified practical examiner for foundation drill rigs, something that Terex Utilities should be proud of. Dale's participation helped provide the industry with quality assessments that are specifically focused on the work that foundation drill rig operators perform on a daily basis. These assessments will ensure that operators are proficient and knowledgeable and thereby reduce risk and improve safety in the drilled foundation industry," said Marshall. Candidates and test sites interested in preparing for the NCCCO drill rig operator certification exams can find additional information at nccco.org/DRO or email info@nccco.org.